Arts Alliance Media (AAM) is a global leader in digital cinema software. It offers exhibitors a range of solutions and services that allow them to reduce costs, increase efficiency and improve the cinema experience for their customers. Working with the likes of Wanda (the world’s largest cinema group) and Cinépolis (the world’s fourth), AAM’s digital cinema software touches over 25,000 screens around the world. The advent of internet connected devices, coupled with the explosion of streaming services like Netflix and Amazon Prime, has completely transformed the way viewers consume content. Today’s consumers have access to an almost unlimited library of content, personalised based on individual tastes and viewing habits. As a result, cinemas are having to do more to stay relevant. Along with the age old-challenge of maximising occupancy within theatres, cinemas need to compete with these new services to deliver an engaging content experience. AAM’s latest digital cinema solution, Thunderstorm, is aiming to help exhibitors overcome these industry-wide issues. 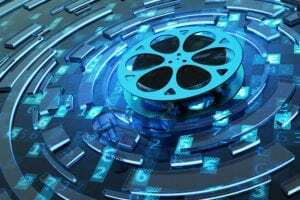 Essentially acting as an online marketplace for cinemas, exhibitors can access a range of best-in-class technologies and applications that will help improve the customer experience, as well as drive revenues. AAM wanted to launch its Thunderstorm platform at one of the cinema industry’s most important trade shows, CinemaCon. With six partners already on board, AAM was also looking to engage with and sign up new partners to the platform. In order to drive awareness of the launch of Thunderstorm, it was crucial to get coverage in key trade publications in the run-up to and during CinemaCon. But as the busiest event in the cinema industry’s calendar, cutting above the noise was critical. CCgroup, therefore, embarked on creating PR messages that focused on the industry challenges and the business benefits of Thunderstorm, rather than the product’s capabilities. CCgroup then communicated these messages in a number of ways – by developing press releases to be issued before the show; pitching Thunderstorm for preview and show news features; securing byline articles to highlight industry challenges; securing byline articles for Thunderstorm; and securing briefings at CinemaCon itself. CCgroup secured 10 pieces of coverage around Thunderstorm in the run-up to and during CinemaCon, including preview and show features in top-tier publications such as Box Office, Cinema Technology and Screen Daily. CCgroup secured industry-related byline articles with Screen Trade, Film Journal and Digital Cinema Report, along with Thunderstorm-focused pieces in Cinema Technology and Box Office – again, all tier one media. CCgroup also secured five media and analyst briefings for AAM during the show. Thunderstorm was so well-received by the industry that AAM was one of just a few recipients of a Catalyst Award from Digital Cinema Report. Presented at CinemaCon, Thunderstorm was recognised by the publication as being one of the ‘Most Innovative Products’ at the show. Since the launch of Thunderstorm, AAM has engaged with over 15 new partners for the platform.